Harvey Weinstein says Oprah Winfrey called him to say she was ready to come out and publicly support him, but Oprah's people say it's simply not true. TMZ sources say Harvey has repeatedly told his team and friends that Oprah called him earlier this week and said he needed to speak out and defend himself, and when he did she would be right there supporting him. 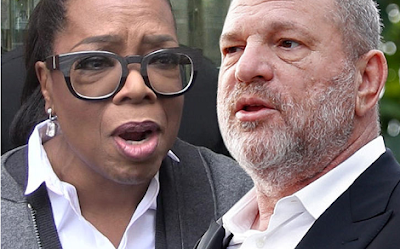 They are told Harvey has said a number of powerful people have called to voice support, but he singled out Oprah over and over. Oprah's spokesperson however tells TMZ, "Oprah has not spoken to Harvey Weinstein directly. Someone from his team reached out to her to see if she would talk to him, and she said she would if it was for an interview. There are no plans for an interview at this time." Oprah's rep say Oprah was interested in doing a "60 Minutes" interview with Weinstein, but made it clear, "She was only interested if he'd look in the mirror and give her the honest, bone marrow truth." Oprah posted a statement Thursday, saying, "I've been processing the accounts of Harvey Weinstein's behavior and haven't been able to find the words to articulate the magnitude of the situation." She then quotes filmmaker James Schamus, who said, "This is the story of one predator and his many victims; but it is also a story about an overwhelming systemic enabling, and until that story is fully told we will fall far short of stopping future depredations on a similar scale."